More than 10 years since its discovery, (225088) 2007 OR10 is the largest minor planet in our solar system without a name, and the three astronomers who discovered it want the public's help to change that. 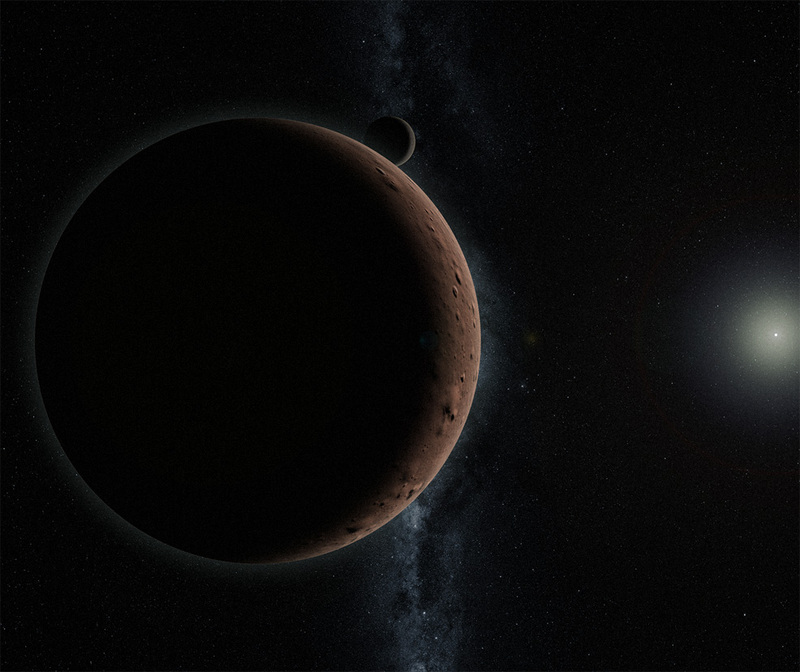 In an article published by The Planetary Society, Meg Schwamb, Mike Brown and David Rabinowitz have announced a campaign inviting the public to pick the best name to submit to the International Astronomical Union (IAU) for official recognition. "It's time to give 2007 OR10 a name," they write. "The IAU formally bestows permanent names upon Solar System minor planets, but the discoverers have a roughly 10-year period after the body has a well-determined orbit to suggest a name for the IAU to consider. We have three naming suggestions that fit the IAU naming regulations and are associated with mythological creatures and figures that reflect aspects of 2007 OR10's physical properties. The option with the most votes will be the one that we will formally submit to the IAU for consideration." 2007 OR10's orbit places it in the Kuiper belt, the sea of icy planetesimals that orbit beyond Neptune. More than 3,000 Kuiper belt objects (KBOs) have been discovered to date. Near-infrared spectroscopy has revealed large quantities of pure water ice and traces of methane ice on 2007 OR10. It also has one of the reddest surfaces ever found in the Kuiper belt. It is estimated to be 1250 kilometres in diameter, which makes it smaller than Pluto and Eris, similar in size to Pluto's moon Charon. 2007 OR10 is likely large enough for gravity to make it round, making it a probable dwarf planet. Part of the Æsir, Vili is a Nordic deity. Vili, together with his brothers Odin and Vé, defeated frost giant Ymir and used Ymir's body to create the universe. Ymir's flesh and bones were forged into the Earth, with Ymir's blood becoming the rivers and oceans. You can visit http://www.2007OR10.name to vote for your favourite naming suggestion. Voting ends at midnight on 10th May 2019.